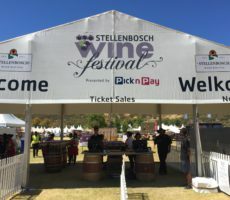 I missed the Stellenbosch Wine Festival at its usual home on the Coetzenburg Sports Ground in Stellenbosch this year. 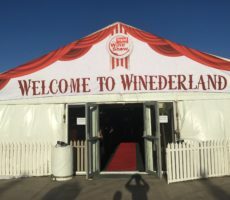 I was not too bothered as I had been to the event in 2017 and 2018. 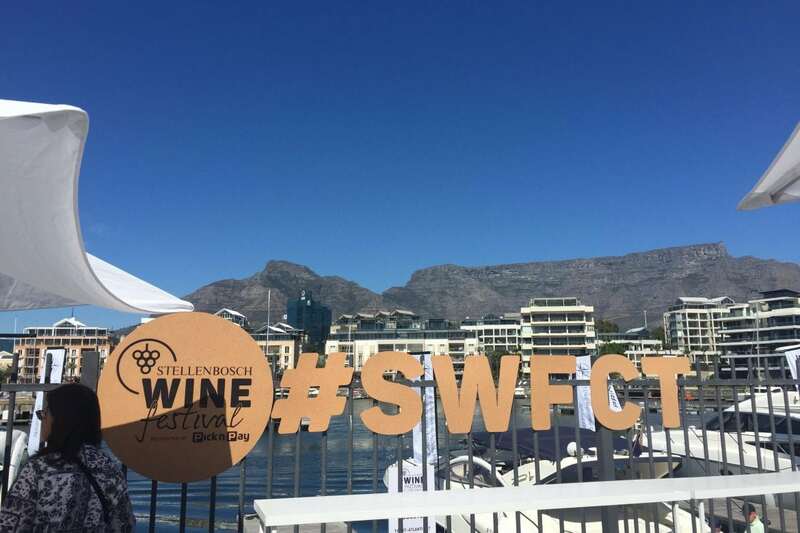 It was not until after, however, that announcement was made that the Festival was moving to Cape Town for the weekend of 6/7 April. 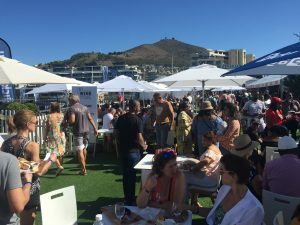 I decided thus to go for 2 reasons: one, to make up for the one missed and, two, to see how the Festival translocated to the Mother City. 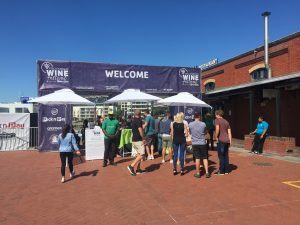 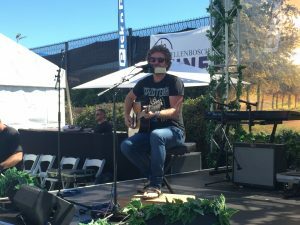 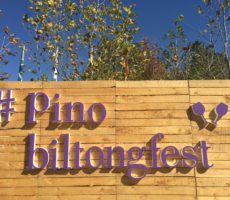 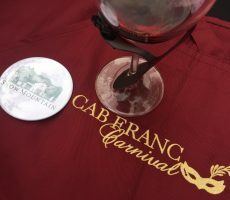 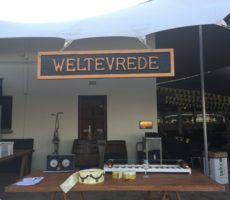 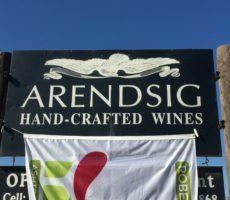 Tickets for the 2-day event (shortened from the usual 3 days) were R150 for General Entry that included a wine glass, 20 tasting coupons, wines at reduced prices, live music and food for sale. 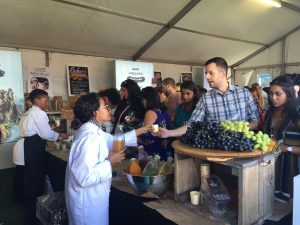 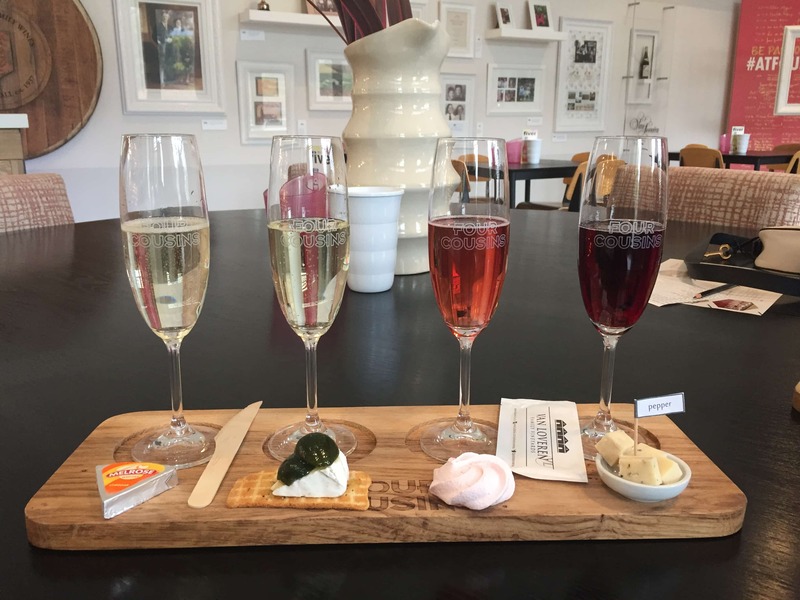 Food pairing workshops were given by some of the top wine estates in the Pick ‘n’ Pay Tasting Room. 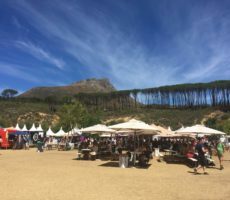 I heard that the Festival Saturday was sold out and so went on the Sunday. 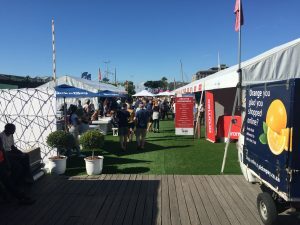 Entry to the Festival V&A Waterfront location in North Wharf beside the Aquarium was easy to find and access, especially with ample city parking close by. 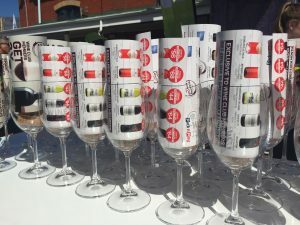 I presented my ticket and picked up my tasting glass and 20 cork ‘tasting coupons’. 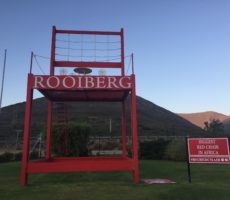 My first impression as I walked on the green Astroturf covering – a nice touch and, I guess, an attempt to recreate something of the sports field vibe – was how the layout was a cut ‘n’ paste copy of the Coetzenburg set up. 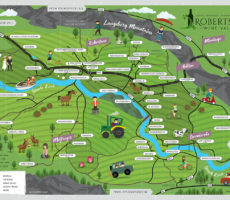 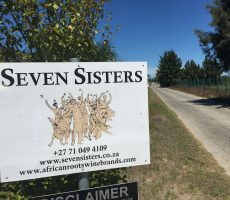 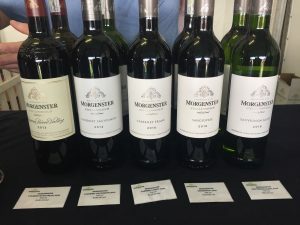 The 42 wine estates were grouped into the same 5 Stellenbosch ‘wards’ as before and with the same colour-coded signs: Greater Simonsberg, Stellenbosch Berg, Stellenbosch Valley, Helderberg, and Bottelary Hills. 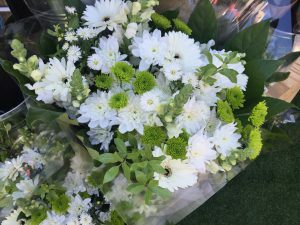 The marquée stands were the same too and, I suspect, many of the staffs also as in previous years. 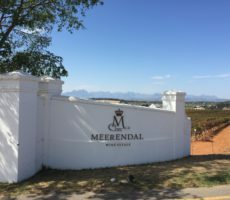 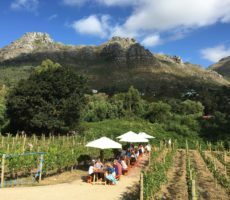 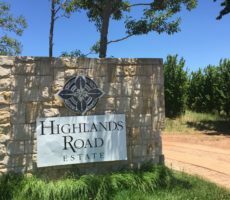 Overall, there were fewer wine farms attending (there were 60 in Stellenbosch last year) and so, as ever, a mix of familiar and new estates. 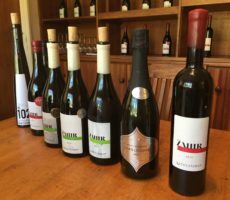 Each winery is restricted to 5 wines – usually 3 white and 2 red or 2 white and 3 red – which has its limitations. 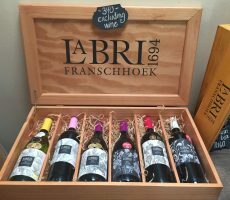 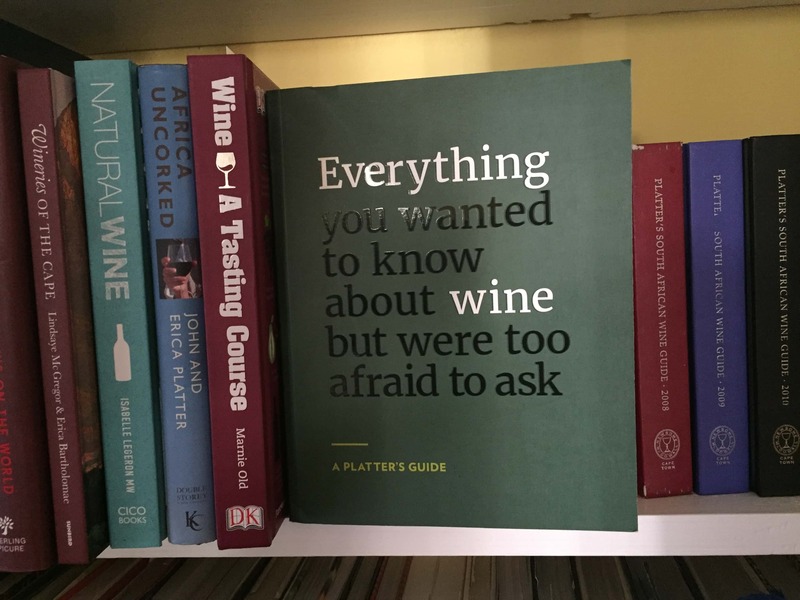 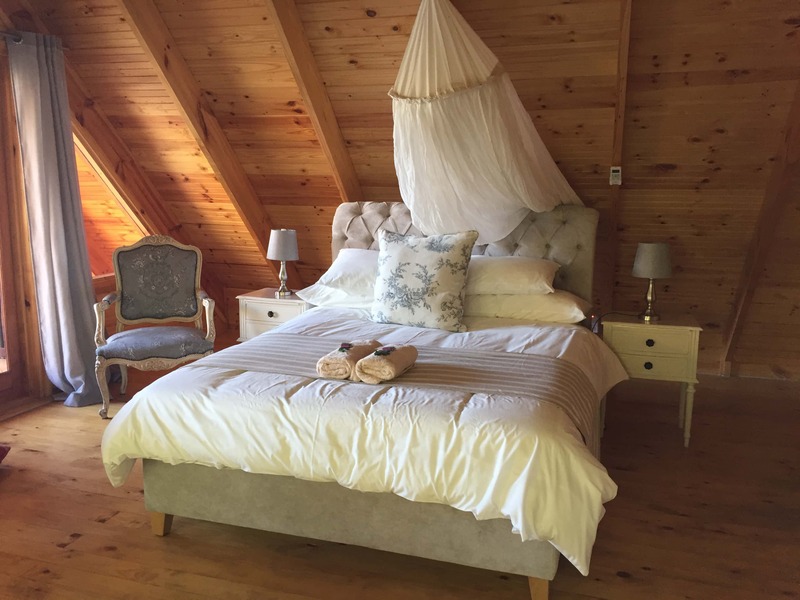 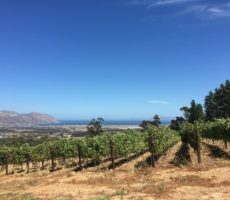 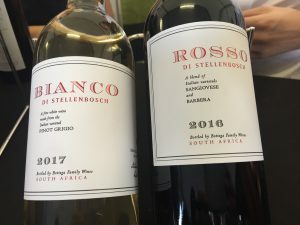 It means that most have to play safe and bring their popular sellers – Sauvignon Blanc, Chardonnay, Chenin Blanc, Merlot, Pinotage, Cabernet Sauvignon, Shiraz and Rhône or Bordeaux style blend – and from the lifestyle to mid-level wine ranges. 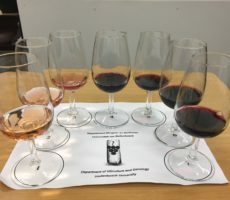 I did notice and taste lesser know varieties such as Riesling, Pinot Noir, Cabernet Franc and Sangiovese but these were few and far between. 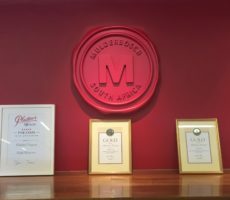 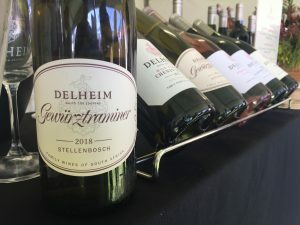 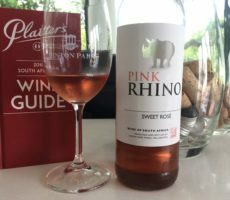 Delheim brought the newest wine, their 2019 Pinotage Rosé. 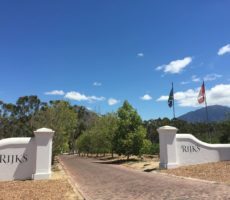 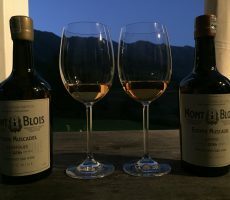 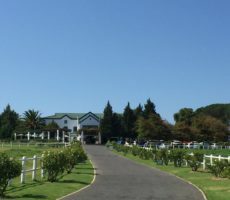 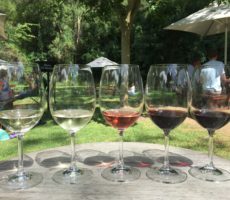 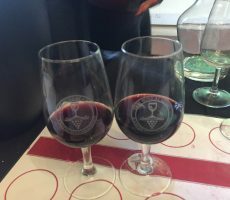 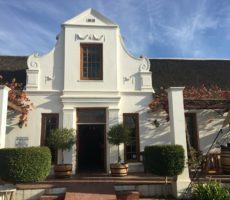 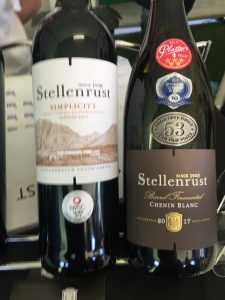 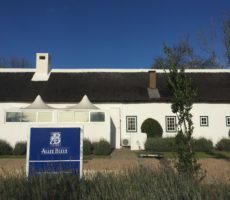 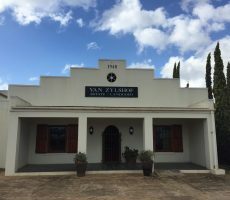 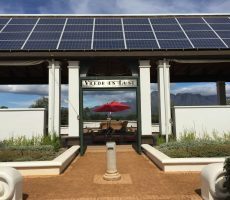 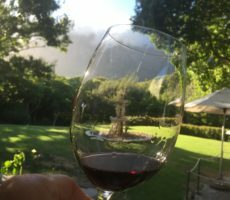 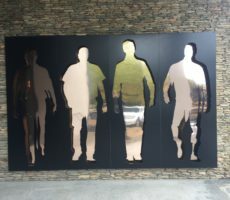 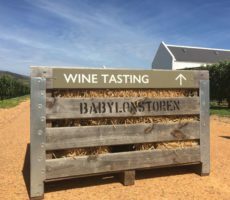 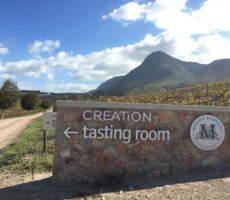 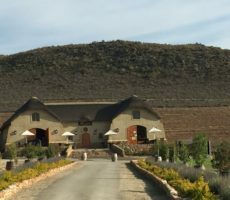 I have now tasted and reviewed 48 Stellenbosch wine estates which equated to about half of those exhibiting their wines. 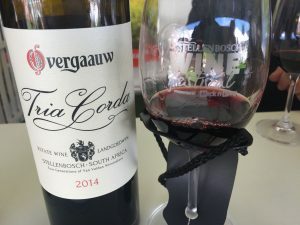 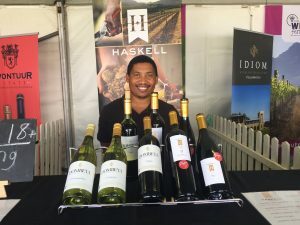 Being my third Stellenbosch Wine Festival too, there was not the need or impetus to rush around each stand and so, instead, I was able to be more selective. 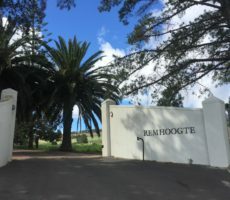 I chose to visit a mix of estates I had been to, to network, and ones I want to visit soon. 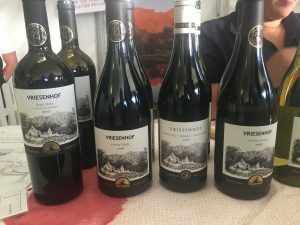 There were some specific wines also that I wanted to taste and/or buy. 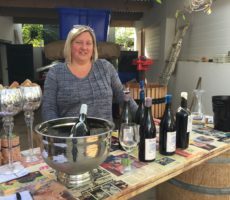 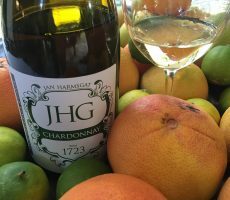 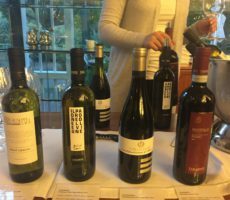 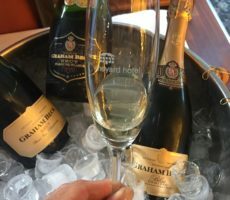 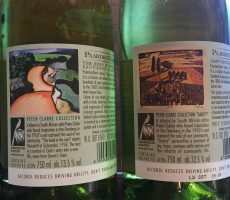 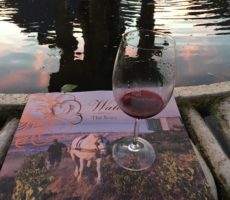 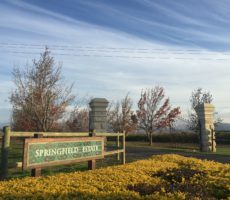 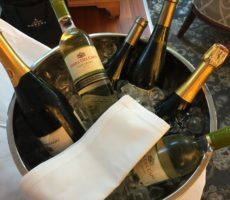 The wines I tasted are all listed at the end of this article. 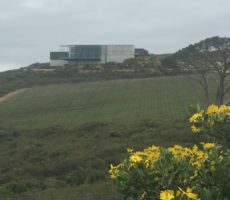 There was much to be said for the new location, a brave and exciting decision, but some drawbacks too. 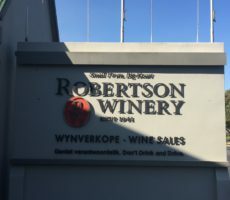 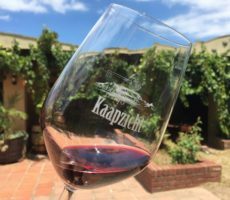 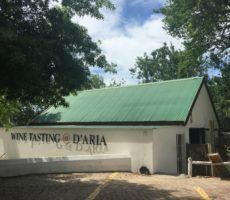 The R150 entry fee and the chance to taste 20 wines (in theory at least as some tastings needed more than 2 tokens) from a total of 220 wines is excellent value for money. 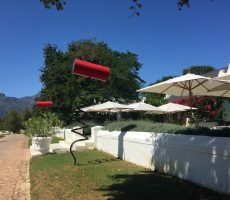 The signposting was as good as ever albeit the linear, parallel arrangement with stands facing each other and the finite space meant for a cramped experience. 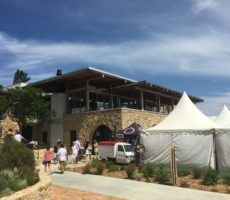 I left at around 3.00pm, having arrived at the opening time of 12.00pm, and the venue was already getting uncomfortable. 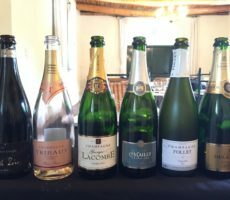 I wonder how it would have left towards the end of the day at 6.00pm when more alcohol had been consumed. 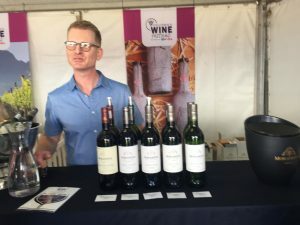 Most of the winery staffs were working on one day of the weekend and so it was difficult to get a feel for the difference in vibe between the Saturday and Sunday. 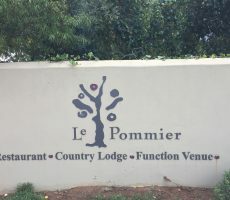 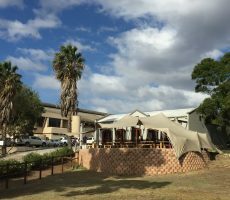 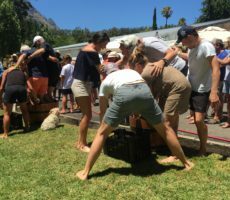 The common perspective from those who had was that there were fewer ‘student drinkers’ on the Saturday and that, overall, the Cape Town venue provided for the more serious and enthusiast drinker than at the Stellenbosch location. 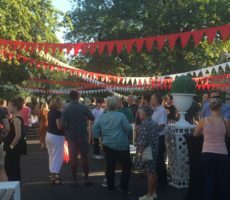 Casual observation suggested that 80% of those attending were Capetonian. 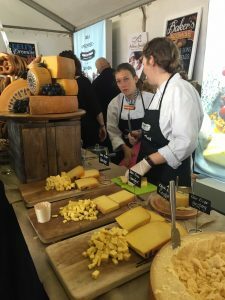 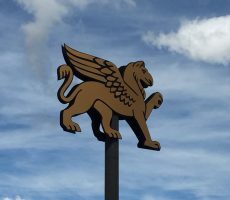 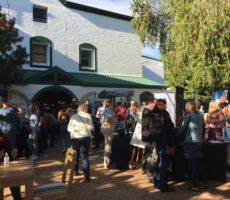 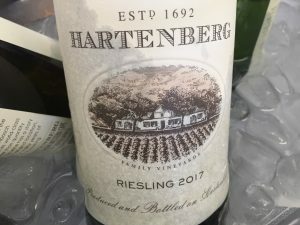 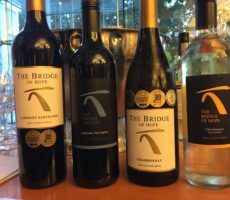 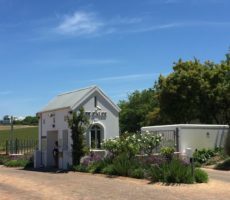 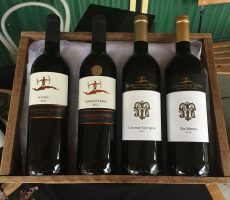 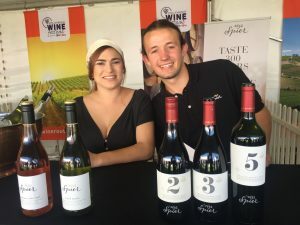 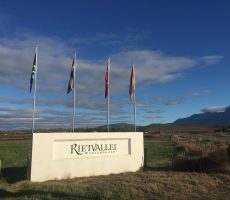 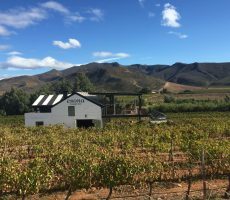 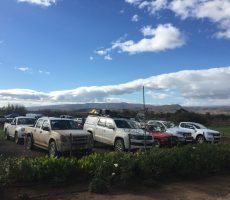 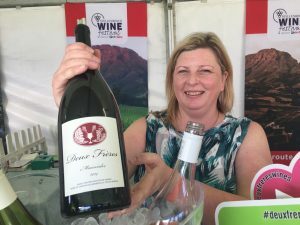 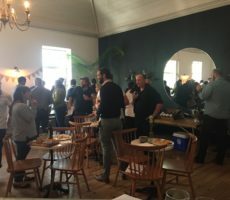 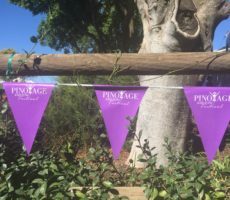 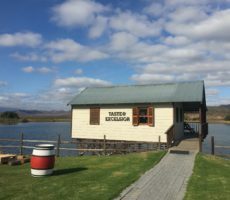 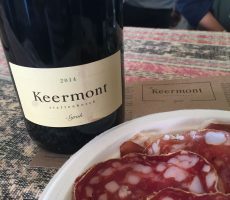 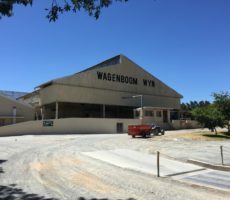 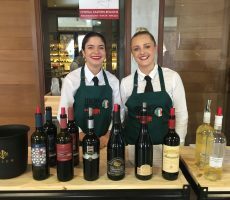 The knowledge level at the different stalls varied widely, ranging from Winemaker or Tasting Room Manager to hired student who, perhaps, helped out last year. 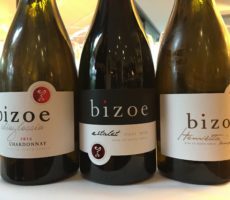 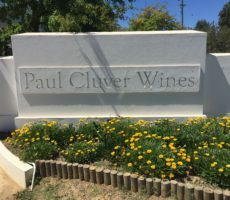 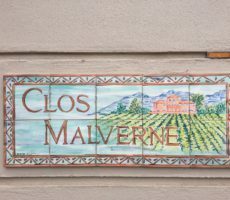 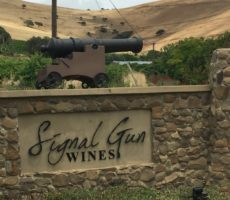 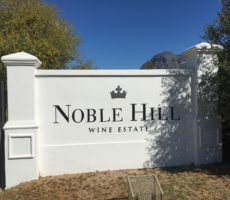 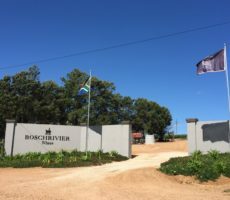 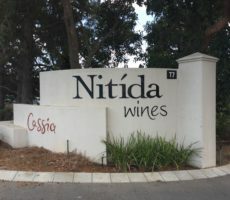 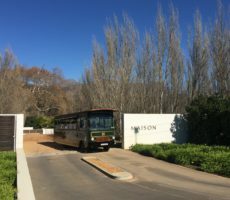 It never ceases to amaze that even big name wine estates leave their brand and reputation in the hands of a ‘pourer’ with no knowledge or passion for their estate. 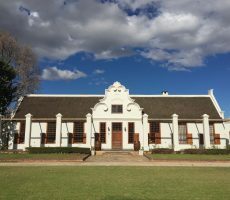 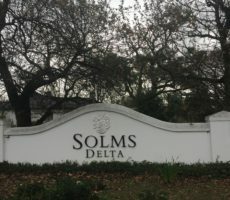 It is perhaps for this reason inter alia that sales were much reduced (to 25% or 30%) of those gained at the Coetzenburg Sports Ground in Stellenbosch. 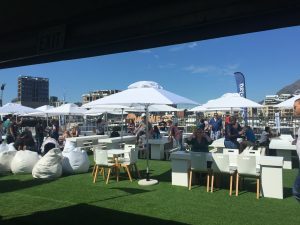 The advantage of the North Wharf and Waterfront setting was the central location (for Capetonians) and the iconic Table Mountain and docks backdrop. 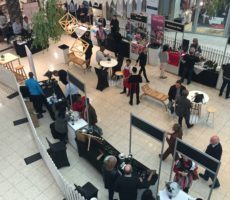 The drawback, as already explained, was that there was none of the space to spread out for a more comfortable experience and a much larger Food Court. 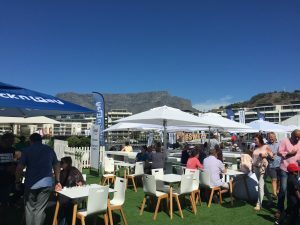 I barely saw more than a few food trucks and the Pick ‘n’ Pay food sample area although, of course, there is endless choice in the nearby VandA Food Market and Waterfront cafes and restaurants. 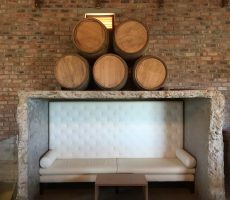 Nonetheless, a decent attempt had been made to provide as much seating as possible. 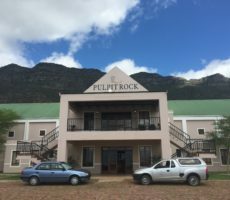 I wondered as I left if there were more spacious locations in the Mother City. 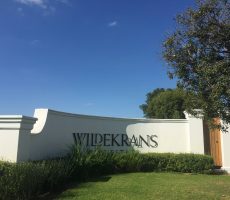 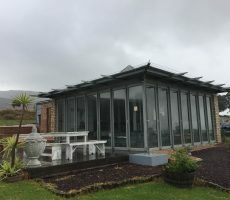 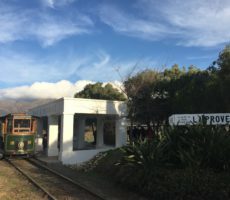 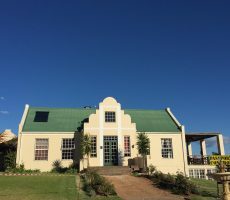 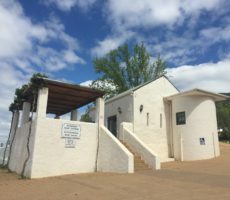 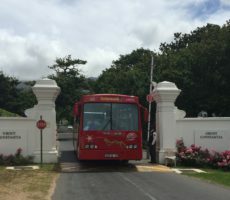 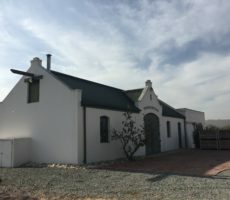 There might be space close to the Oranjezicht Urban Market in Granger Bay or even the Castle, where the Cape Town Flower Show was held before the drought put an end to it. 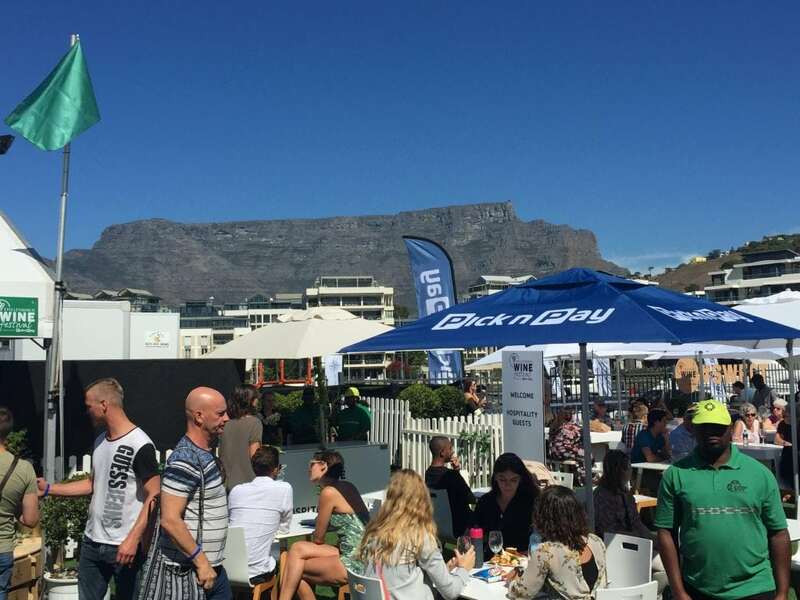 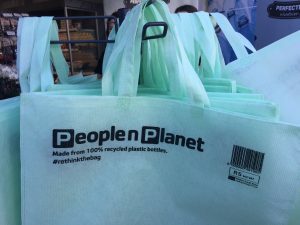 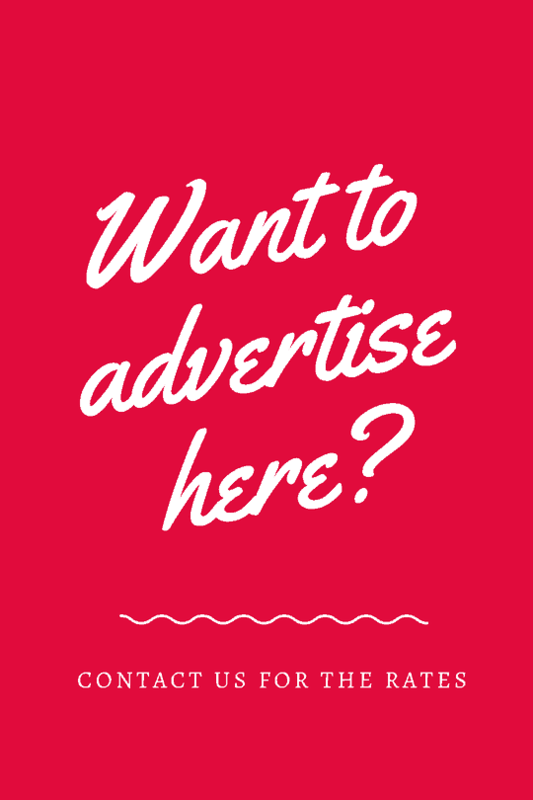 There is obvious space and parking at both the CTICC Convention Centre and the Cape Town Stadium, used only last month for the Cycle Tour Expo – Pick ‘n’ Pay is a major sponsor for this event too – and 2 weeks ago for the Ed Sheeran concerts. 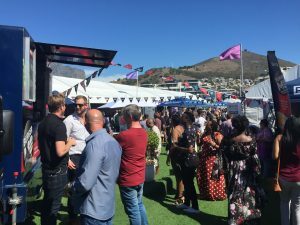 Festival economics aside, there are pros and cons for each venue. 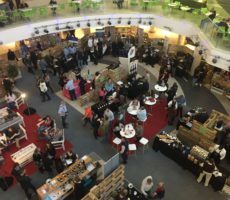 There is the Grand West Casino too that is used for the tops at Spar Wine Show. 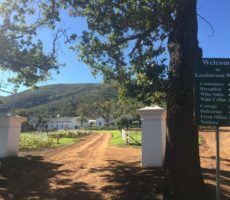 Limiting numbers, or holding the Festival in Cape Town for 3 days are other considerations to relieve visitor pressure. 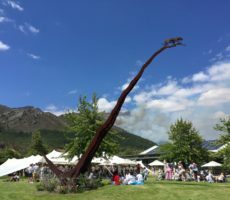 I shall be interested to see whether the 2019 Festival is a once-off experiment or is repeated again and for many years. 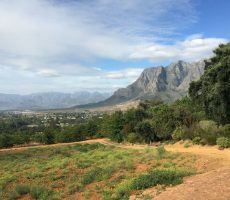 My take on it is that bringing the Stellenbosch wine farms to Cape Town was a bold and adventurous step. 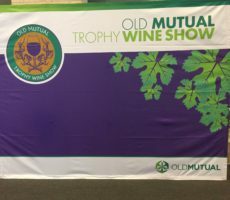 I am sure that the Franschhoek and ‘cool climate’ Elgin/Walker Bay regions will have had half an eye on the event. 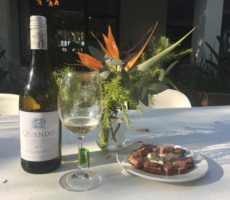 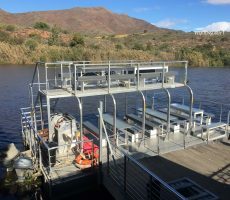 Cape Town certainly provided a superb setting – for Capetonians and the Instagrammers – but was too constricted and offers little scope for growth at the North Wharf location. 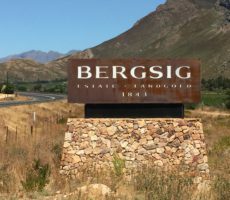 Stellenbosch is only an hour away and so not great effort to travel to during the weekend. 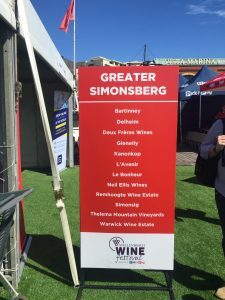 In closing, I wonder if I had to choose whether to go to the 2020 Wine Festival in Stellenbosch or Cape Town where I would go. 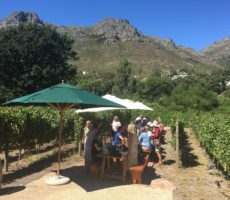 As things stand, and assuming use of the same Mother City location again, I would pick and pay to go to Stellenbosch. 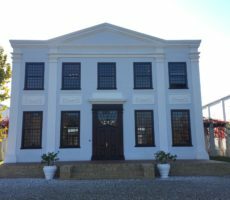 But then, if there was a larger and more spacious Cape Town venue, I might be tempted otherwise …..